Everyone is familiar with the ISA but did you know that there are different types? Here we give you a quick rundown as to the different types and who they are most suitable to. This is the one most people are familiar with, and that everyone ages 18+ should have. Available to invest into cash, stocks and shares or a mixture of the two. The current individual Annual Allowance to invest into an ISA is £15,240 for the current tax year and the same for the 2016/17 tax year. From 6th April 2017 to 5th April 2018, the allowance will be increased to £20,000. Parents can save on behalf of their children up to £4,080 tax-free each year. The money saved can stay in the ISA until he or she turns 18, at which time it will become a Basic ISA as above. The child can take control of the ISA from age 16. Children age 16 to 18 can have a Junior ISA and a Basic ISA. This ISA type can be opened by widows, a widowers and bereaved civil partners who have lost their spouse or civil partner since 3rd December 2014. The additional allowance will be the same value as their partner’s ISA at the date of their death. the cash will be transferred into an account in the widow/widower’s name along with all interest. Income and withdrawals will be tax-free. The individual has three years after their partner’s death to complete this, or 180 days after the administration of the estate is complete, if later. 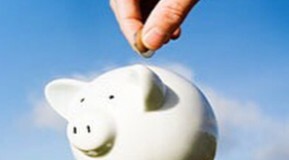 Up to £12,000 can be saved and in addition the Government will add a 25% bonus of £3,000 if the maximum has been saved. The Help to Buy ISA is open to those aged 16 or over and have never owned a home here or abroad. They must not have saved more than £1,200 into a Basic ISA in the tax year the Help to Buy is opened. See our Help to Buy page for more information. The perfect ISA for if you’re looking to buy your first home or you want to save towards your retirement. Lifetime ISAs are available to those aged between 18 and 40 upon opening an account and the state will add a 25% bonus on top of what is saved. Individuals can save up to £4,000 a year into the Lifetime ISA either as a lump sum or by putting in cash when they can. At the end of the tax year the state will add a 25% bonus on top. The bonus will be paid until the individual reaches age 50. The money can be used either towards a first home worth under £450,000 or once the individual is over 60 towards retirement. If you want to find out which type of ISA is the right one for you, and for more information on each one, why not get in touch? You can call us on 0800 044 5733 or complete the form below and we will be in touch shortly.